Last week, cyberlocker service Megaupload was shut down and its executives were arrested. Consequently, the now defunct site is poised to have its hosted files forcibly erased. However, the Electronic Frontier Foundation has come to the aid of "innocent" Megaupload users, announcing plans to reunite them with their data before it is sent into digital oblivion. 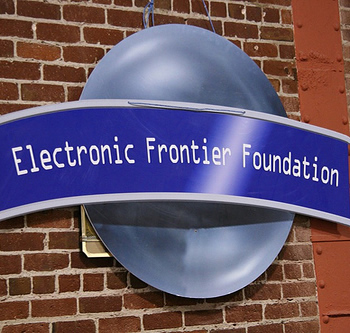 The path users must travel in order to retrieve their data is somewhat unclear, but the EFF is working with Carpathia Hosting in hopes of helping those in need. The EFF asks that users email them their personal information so the organization can identify what files belong to them. The EFF also notes it will only attempt to retrieve legitimate, non-infringing files for users located in the United States. Carpathia and Cogent were apparently the two primary U.S.-based hosts for the cyberlocker service. In an effort to assist the EFF, Carpathia has launched www.megaretrieval.com to get former Megauploaders started in the right direction. On the website, the company suggests that the EFF will be offering legal representation, implying that the organization may also be employing litigious means to protect non-infringing data. "When the United States Government shut down access to Megaupload, a multitude of innocent users who stored legitimate, non-infringing files on the cloud-storage service were left with no means to access their data. Please do not send us the details of the materials you have uploaded. Also, please note that EFF is a small donor-supported nonprofit and does not charge for its legal services. It may not be able to represent everyone who inquires." The EFF claims although the Cogent and Carpathia are free to delete data at this very moment, they have not done so yet. This may imply that both hosting companies could be waiting for the EFF to determine which files should be returned to their rightful owners before they begin indiscriminately dragging directories into the trash bin. Despite its apparent cooperation with the EFF, Carpathia claims it has no access to any data from former Megaupload users, so that may complicate things. There is no word on whether or not Cogent is in a similar situation, but in the coming week, it is expected that both companies may be legally compelled to begin deletions.